Nuisance calls are one of the few first world problems that we can probably all condemn without hesitation. There are few things in this world more frustrating than being interrupted in the middle of a busy day to be asked by a vacant voice if you “Have a spare moment to take a survey,” or if you have “Had an accident recently and require compensation,” and the worst part is, many of us simply assume that there is nothing we can do about it. There is though. In fact, that are numerous things you could be doing about it. One man from Leeds actually turned the tables on the cold callers and set up a premium rate line, which he directed all callers to. Of course, this is (probably) quite illegal (though it is more than a little funny), but there’s no need to go to these lengths to keep your phone line free for people you actually want to hear from. From taking your number out of the phone book to registering with the Telephone Preference Service (TPS) and reporting any unwanted calls to Ofcom, there are lots of steps you could be taking to keep the nuisance calls at bay, but there is nothing more reliable than a Pro Call Blocker. Do I really need a call blocker though? You might ask. Consider that 8 out of 10 people in the UK have received at least one nuisance call in the last month and that 57% of people who signed up to the TPS found that the nuisance calls still persisted and that a one-off fee could save you countless hours in years to come and the answer is obvious. Of course there are countless call blockers on the market suitable for all budgets and all situations, so here we’ll be examining a few of the very best, hopefully allowing you to make an informed decision. There are effectively two types of call blockers available; those that are preinstalled with a phone and those which are bought separately and are attached between the phone and the landline. They both work in similar ways, but offer different levels of protection. You can also choose to sign up with your provider so they block certain calls for you, but these services come with a monthly fee and are not half as effective as a decent call blocker. For a paltry £40, this call blocker is a real steal. 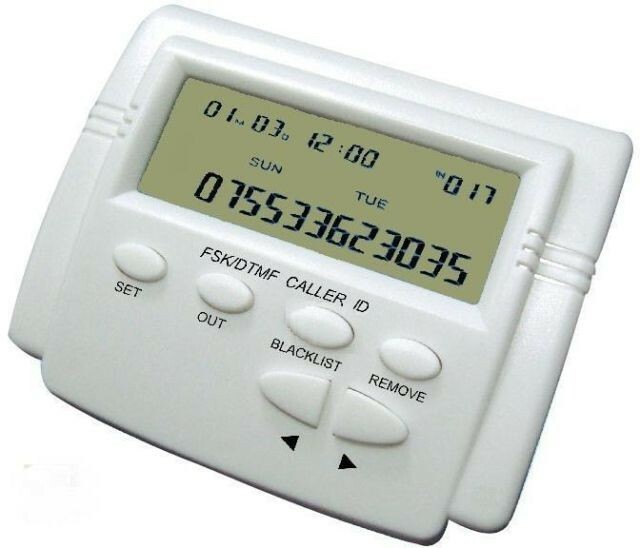 The device comes pre-loaded with 200 nuisance numbers and has the option to block withheld and international calls, but its USP is the ‘Block Now’ button, which allows users to simply press the button and add that particular number to the blocklist in an instant so you’ll never have to hear from them again! One negative facet of the device is that there is no option to record messages, but it’s a simple and effective piece of kit that comes highly recommended. This is a hands free phone with its own built-in blocking device. It has the ability to block all international and withheld calls, but this has the adverse effect of also blocking numbers that come through a switchboard, so you might miss important calls if you have this option enabled. 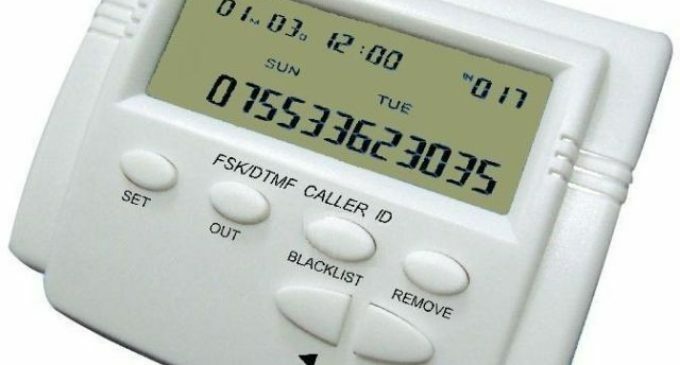 It can also only store 10 numbers on its customisable block list however, so will be of little use to those of us who receive dozens of nuisance calls a week. The Pro Call Blocker is the cheapest option on the list (at £34.99), but that doesn’t mean it’s the least powerful. Far from it in fact. This device is a small and compact solution, which includes a backlit LCD screen so you can screen your calls with ease. As with the CPR device, the Pro Call Blocker comes pre-installed with 200 common nuisance numbers, but you can also store up to 1,500 of your own! This particular blocker is also powered through the phone line itself, so no external power source or battery is required – a genuine bargain. We’re getting into quite elaborate territory now, with this blocker retailing for a shade under £100. You certainly get your money’s worth though, as the TrueCall is a genuinely intelligent device that literally tells you who’s calling. It does this by asking all callers from unidentified and withheld numbers to state their names, the unit will then announce the name to you so you can decide whether or not you want to pick up. It keeps an extensive list of friends and family members and works almost as your own personal secretary. It is quite expensive though. It all depends on your requirements and you are sure to find one that meets your needs.